This table would be fun in a family room. Pop the popcorn and gather around the game. Or put in “Sand Lot” the best baseball movie ever! If you haven’t seen it….what are you waiting for? I could not resist picking up this mid century coffee table for a next to nothing price. Then the table took up space for months before I had any ideas what to do with it. I had been doing a few furniture makeovers with kids in mind and then it hit me. A baseball. Not a real baseball like a high school P.E. flashback but the idea of the baseball table. 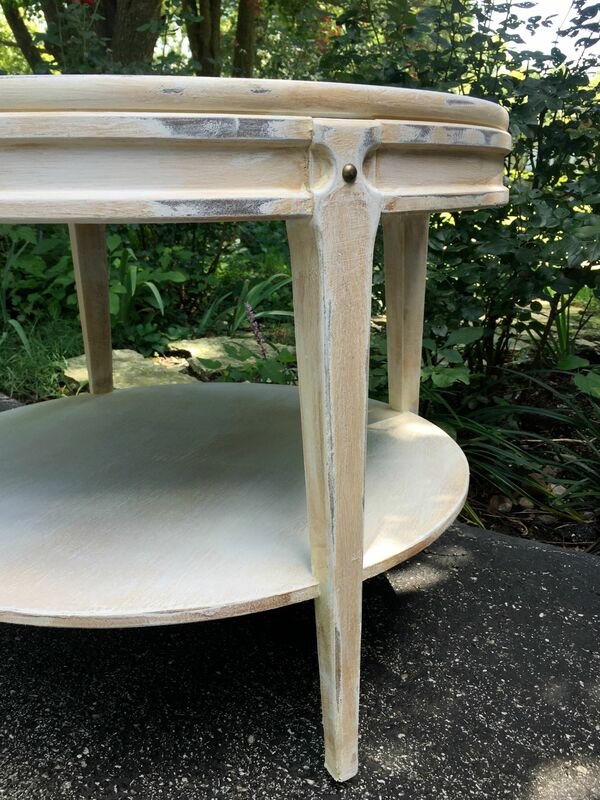 After a light sanding I used white chalk paint using a plaster of paris recipe. I found a round piece of cardboard to help with the semi circles. The red stitches were easy to add using a red permanent marker. I gave it all a real good distressed look to resemble a well loved baseball that had played many games. Adding a dark wax brought out a lot of the vintage aged details. I added upholstery brads just because I love adding those to furniture. And the last step was a couple coats of Polycrylic. 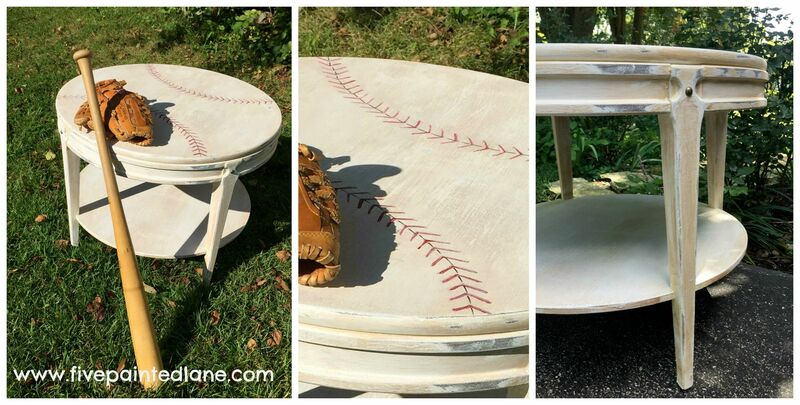 This table would also look so cute in a little slugger’s sports theme room.